To Lisa Lowell, it seems like her life is defined by all the things she isn’t anymore. She’s not a world-class skier, not a wife, not a full-time mother, and not even a patient striving to get well. So who is she now? When her brother asks Lisa to help her family, she can’t find an excuse not to flee her empty nest and return to her hometown of Alpine Grove. Tasked with remodeling her parents bizarre old house and preparing it for sale, Lisa confronts personal failures and memories she’s avoided for years. 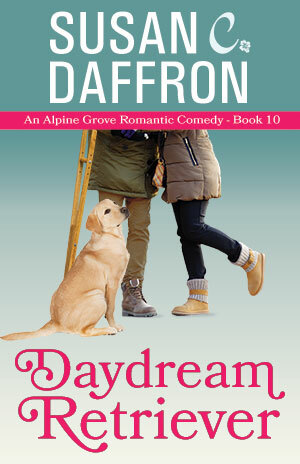 At the local ski resort, Lisa ends up on a collision course with Pete Harmon, a retired cop fighting his own battles with the past. As Lisa contends with a disobedient foster dog, aggravating contractors, and the demands of her nutty great aunt Betty, she discovers that being accident-prone may not be the only thing she has in common with Pete.